I wish I had a great plan like this to workout with during the week! And I do need to exercise more often! I still do it, but just not consistently like I should. 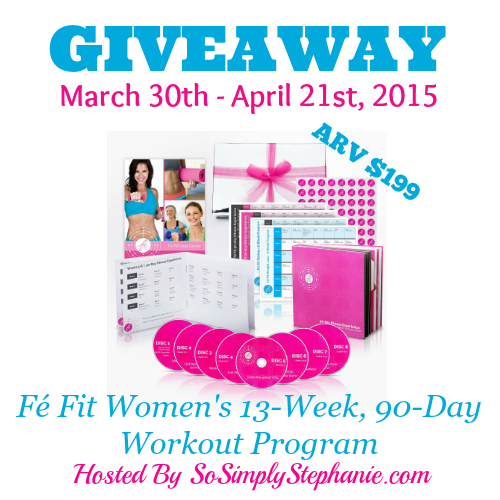 Come enter the Fé Fit Women's 90-Day Workout DVD Program #Giveaway - ARV $199 for your chance to win a great fitness DVD program. JamericanSpice is not responsible for any prize. I would like to lose weight and tone up. I am wanting to gain muscle and tone up by getting into shape in a healthy way - I feel like this could help me.